Guh! I shouldn’t look at real estate listings for non-major-metropolitan areas. It weakens my resolve to be Chicago For Life. All I want is a sub-$200k, 3 bedroom, 1.5 or 2 bathroom ranch, built between 1955-1975 and preferably not updated since that time. I don’t want to pay $30k more because you installed cherry cabinets and stainless steel appliances. Seriously. 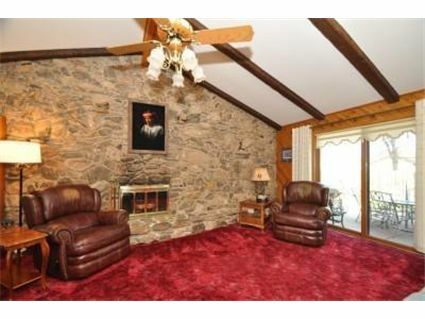 A vaulted ceiling in the living room? That’s #1 on my wish list. Crushed red velvet carpet, you don’t scare me. You’d get torn up as soon as all that stone got PAINTED WHITE. 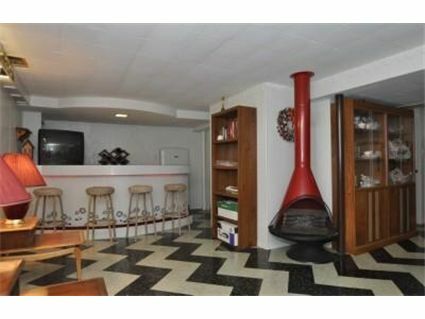 That floor and that fireplace and that built-in bar?! Ultimate ping-pong party room. 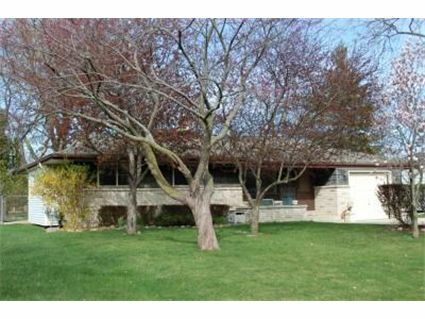 Come to me, 5648 S Madeline Ave, Milwaukee, WI. I’ll treat you right. I understand, that part of town is pretty quiet compared to Chicago. Nothing against Milwaukee! If all of my Chicago friends would up and move with me, I’d be packing my bags. Hee hee. Funny post. WordPress said I should follow you. Huh. What do THEY know. I guess a decent amount because I’ve read several of your posts. Loving the chevron tile floor of that house. I know what you mean about the real estate surfing. Thanks for taking the suggestion from WordPress! Isn’t that floor pattern great?